Fresh baked by our expierenced baking department. 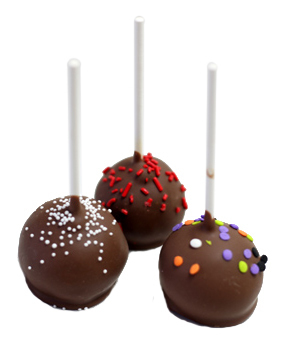 These cake pops are made of chocolate, cake and then enrobed in our creamy milk chocolate. Decorated with fun sprinkles.